Pull number 50 proved to be the lucky one. The grand dinosaur with a tendency to eat running people is very dead. This is a good thing, the fight is, delicately speaking, designed in a non-flawless way. It’s very punishing for some classes and strongly against the whole “bring the player not the class” logic. Regardless, it needed to be done, so done it is. No more chomping of cute Enigmas for now, Jurassic Park cleared. We all know what it means though. Siegemaster Blackfuse. 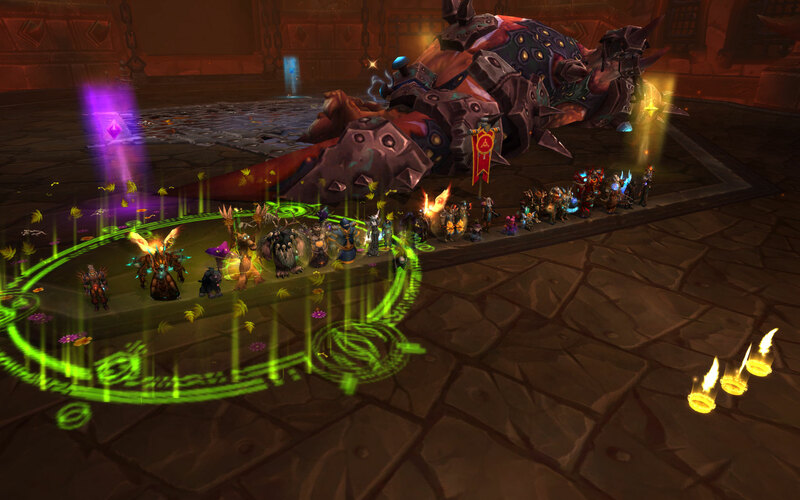 We had some first pulls and to wrap it up – the ressurection cooldown proves to be an issue.